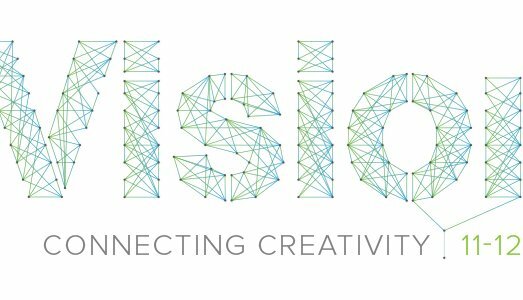 Over the 11th-12 May almost 350 people attended Vision 2016 in May. With 25 talks from leading creatives and innovators over the 2 days, we had 3 members of Digital IT in attendance to see what lessons we can learn from the industry. Here were some of my personal highlights. A bold and compelling vision of our entry into the 3rd age of the internet. As the Internet of Things rapidly grows, how will businesses and brands make use of it? How can companies begin to evolve to match consumers’ increasingly liquid demands and expectations in a world where almost everything is digitized? Is innovation a moment – or a process? Why are some people, and some organizations, more creative than others? What difference does structure make? These were the questions Margaret was asking and exploring. In fact she spoke for over 45 mins without a single slide or note to prompt her and had us all enthralled with tales of the dangers of hiring teams of “Super Chickens”. The National Trust is undergoing a massive project to transform their digital systems and approach. A non-responsive website, dozens of individual apps, hundreds of different microsites and several thousand social media accounts need rationalising and bringing up to date and making fit for purpose. Tom’s 5 year plan and vision has a lot in common with Digital Leap. He was able to offer us some valuable insight into the challenges of large scale digital transformation and thinking longer term. A responsive website is just the first phase for the national trust. An interesting insight into a client and agency’s journey to build a working relationship. From initial flirting to full blown collaboration and integration. They shared lessons they’ve learned over the first nine months of working together. Details of collaborative techniques, problem-solving processes that worked, and how connected creativity works for them in the real world. The internet already has too much content. How should creativity respond? how do we create content that has purpose and is of use…? How do we create content fit for the multiple delivery streams now available? What skills do agencies and brands need to develop? How should creative processes evolve? What structures should we look for in how we build teams?